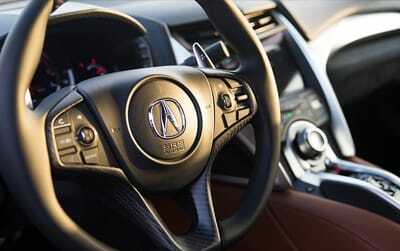 Precision Crafted Performance, the Acura mantra, served as both philosophical approach and physical benchmark for NSX. Thus a wholly new supercar was brought to life: an exotic sports car born of racing DNA, equal parts adrenaline and composure. 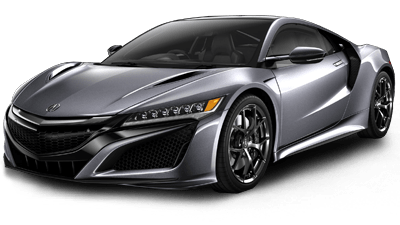 From its ultra-rigid space frame to dynamically agile Sport Hybrid Super Handling All-Wheel Drive™, the chassis is the super skeleton that supports all NSX systems. 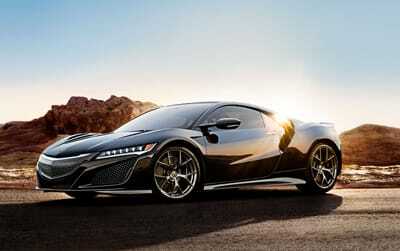 NSX Sports Hybrid Power Unit: Precisely engineered to produce 573-hp, 476 lb-ft of torque, and a top speed of 191 MPH. Dynamics begin with physics and imagination, building and testing new ideas while subjecting conventional wisdom to skeptical reexamination. Motion, mass and geometry are applied through a lens of innovation, fine-tuned such that inventiveness and proven principles come to coexist for an unequaled driving experience. Working in concert, the engine and electric motors produce a combined peak 573-hp and 476 lb-ft of torque, which translates into a G-crushing 0 – 60 MPH in 2.7 seconds, and a heart-pounding track top speed of 191 MPH. THE race-ready 9-speed DCT brings it all to the table. With an electronically-operated wet dual-clutch, high-rigidity shift forks, double-cone synchronizers and electronic shift actuator, shift timing is precisely synchronized with power unit torque – and that means super-fast, smooth-as-silk shifting. Think of it as throttle response deluxe. Sandwiched between the V-6 and the 9-speed DCT, the direct drive supercar electric motor is attached directly to the driveshaft for immediate torque and acceleration. At the track, Launch Mode can slice off .5 seconds and deliver pressed-back-in-your-seat Gs the instant you release the brake. The brain of the power unit is also its primary battery. Positioned low and center, it sits behind the seats, directing energy to electric motors front and rear. G-loading you can feel comes from two independent electric motors at the front wheels that deal out immediate torque on the move for athletic acceleration that makes passing absolutely effortless. Ultimate rigidity is the Holy Grail of dynamic sports car performance. Achieving it demands complex engineering, striking an ironically delicate balance between brutal forces. 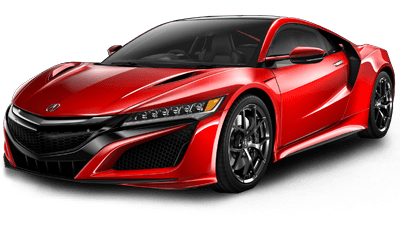 In NSX, that balance is struck from the inside out with a completely clean-sheet design, a multi-material space frame that forms the foundation for instant response in steering, throttle and brakes. 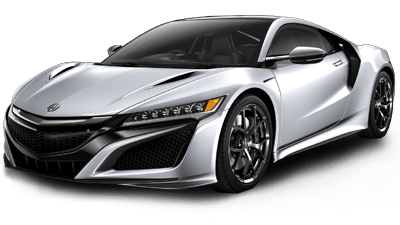 NSX Sport Hybrid SH-AWD® applies true torque vectoring with every turn. The electric Twin Motor Unit (TMU) directs torque to each front wheel independently to maximize the effectiveness of each tire's traction as the turn is executed. It makes for uncannily precise cornering on road or track, even at speed—the car planted but eager, urging the driver on. The dynamics are such that acceleration can come much earlier out of every turn, which translates into faster lap times—and makes precision line tracing an exhilarating exercise in the freedom of spirited driving. NSX delivers a refreshingly civilized approach to touring, thanks to its advanced, lightweight suspension and steering systems and rigid frame. Third-generation magnetorheological (MR) dampers respond to the road more than 1000 times per second; the cabin provides a quiet refuge with muted wind and road sound. Engine sound aligns with driving mode—from the near-silence of Quiet Mode to Track Mode’s aggressive snarl. Across the driving spectrum, the same systems that deliver high-performance athleticism at speeds approaching 200 MPH provide the same poise and traction management at every speed. Stopping on demand is a beautiful thing. 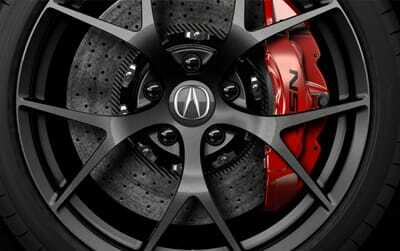 NSX super sports brakes are powerful, linear, predictable and virtually fade-free. High-performance Brembo® hydraulic brakes and hybrid regenerative braking are seamlessly integrated to confidently deliver authentic, high-fidelity response anywhere, anytime. If the power unit is the heart of the beast, the Integrated Dynamics System is its mind. The system reflects the mood and manners of man and machine, firing the senses and heightening the driving experience. The four modes: Quiet, Sport, Sport+ and Track each has its own distinct pleasures, from flying under the radar to screaming through a circuit. Long, aerodynamic side mirror extensions prevent air disruption and provide excellent visibility beyond the large rear intakes. Air entering from front grilles cools the Twin Motor Unit, exits through these vents, and is reintroduced to the rear intakes downstream. Seven heat exchangers are positioned behind the front and side grilles to provide cooling for the engine, transmission, front motors, battery and other component. 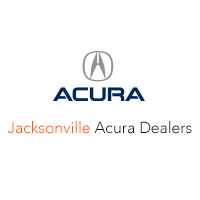 The Acura low, wide Jewel Eye® headlight styling is striking with six-beam LED headlights. Visible fender peaks help the driver better position the car in curves. Floating C-pillars increase airflow to rear engine vents. Flush door handles allow uninterrupted air flow to the side vents, and pop out to greet the driver when the smart key is sensed. Slender A-pillars help create a panoramic view from the cockpit. Fender vent assists in brake cooling and reduces pressure build-up in wheel well. Standard wheels were engineered to provide the greatest strength with the least weight. Center High Mount Stop Light (CHMSL) is integrated so well as to be near invisible until brake is activated. 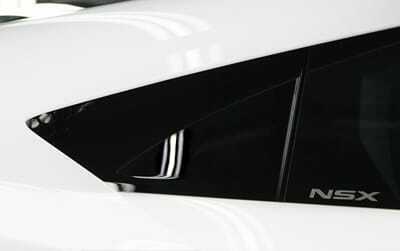 Engine visible through rear window is a component of the interwoven design concept. Hidden air vent between spoiler and taillights help reduce aerodynamic disruption and thus drag from air flowing over the roof. Thin flying wing taillights extending across the car are an homage to original NSX. Outer exhaust outlets are used for Quiet and Sport settings. Wider inner outlets open to bypass silencers in Sport + and Track mode. 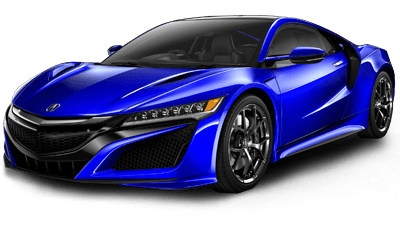 NSX takes aerodynamics to new levels of artistic integration, applying visual allure to the results of thousands of hours of computational fluid dynamics (CFD) and wind tunnel analyses. Three times the downforce at the rear of the car than at the front provides ultimate sports car balance. Painstakingly carved design lines augment that balance with total airflow management. Together they create unparalleled performance with extraordinary efficiency. The ability to tame wind isn't a myth – aerodynamics is proof of that. 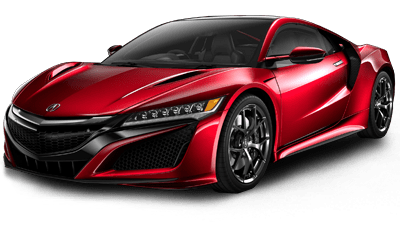 The NSX supercar takes it one step further, using artful design to stream air within, without and across the entire vehicle. By reintroducing air that serves thermal purposes upstream, front and rear power unit components, brakes and other systems are cooled efficiently as aerodynamics are optimized. 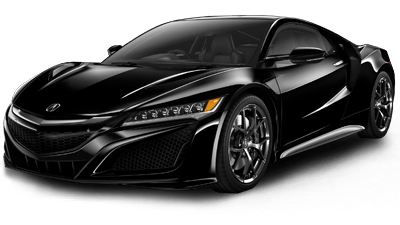 Acura calls this Total Airflow Management, and when it’s executed in tandem with gracefully aggressive aesthetics it becomes the ultimate expression of interwoven dynamics. Seat materials were selected for their performance. The aggressively-shaped bolsters are smooth leather for ease of ingress/egress. 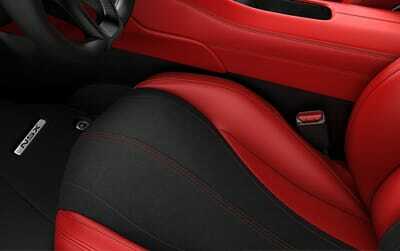 Alcantara® is at the center of the sports seats to provide grip and reduce lateral movement. 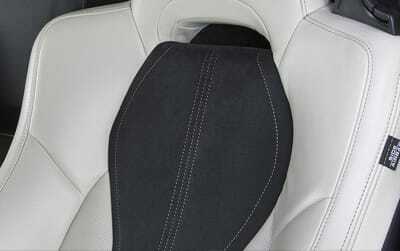 Key interior surfaces are ergonomically padded to support knees and elbows, providing additional supercar comfort and stability. Slightly-indented finger holds are located at both 10:00 and 2:00 and at 9:00 and 3:00 to satisfy the preferences of most drivers. 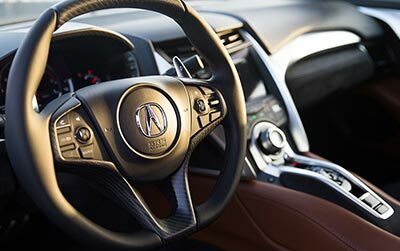 The painstakingly engineered NSX steering wheel is engineered to help the driver carve precise turns at any speed. The oblong shape allows an unobstructed view over the top and greater leg clearance at the bottom. 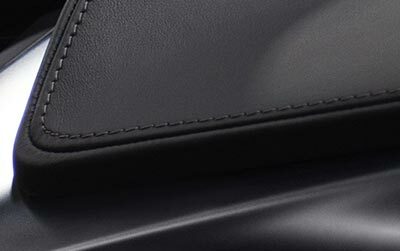 Tailored leather wrap is finished with hidden stitching for an unencumbered grip. 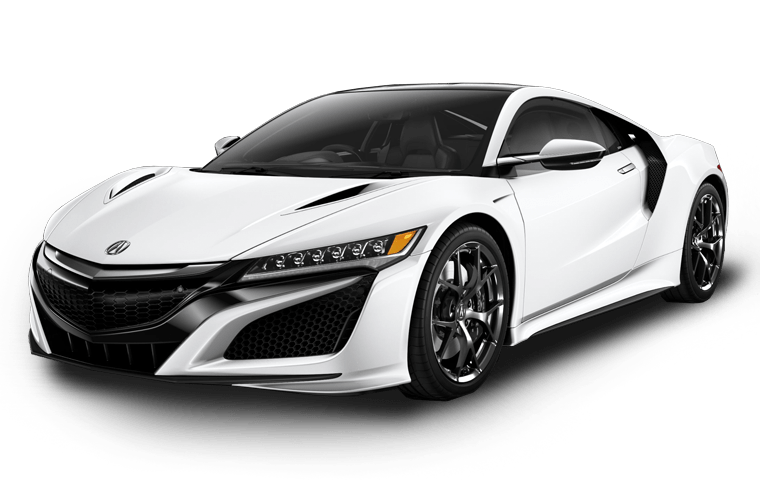 Connection to the road demands sweeping visibility – a quality embraced by NSX engineers dating back to the first-generation NSX. Today, the expansive view begins with ultra-slim A-pillars crafted using an innovative, 3D bent-and-quenched fabrication process that produces ultra-high tensile strength. Adding to the openness is the low meter visor, the uniquely shaped steering wheel, a frameless rearview mirror and side mirrors on slender stalks. Leaps from hushed to hellion in a single bound. 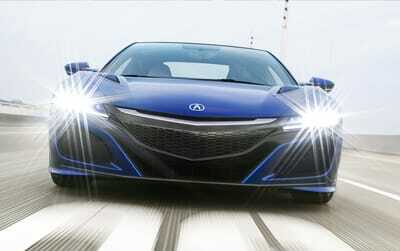 In Quiet mode, NSX runs virtually silent; in Track mode, every note of peak performance is in full-throated cry. The sound satisfies on a gut level, both on the street and inside the acoustically-tuned cabin, where engine sound correlates with dynamic mode. ELS Studio® Premium Audio tuned by Grammy® award winner Elliot Scheiner. It’s music that stirs the soul with vivid clarity and visceral bass response, unleashed in a private studio that travels at speeds close to 200 MPH. Here is an audio system custom-built for NSX, with nine speakers (including two super-charged door speakers and an ELS-first rear-center speaker) and all-new lightweight components, all driven by 580 watts of amplification. PMC is the purpose-built facility in Ohio, where the Acura NSX is produced. It’s 200,000 square feet of innovation, a place where craftsmanship and technology converge in ways so forward-thinking, it’s sparked a dozen patents. The openness of the space – expansive, airy and absolutely pristine – aptly represents the values of transparency and collaboration here. Building an entirely new kind of supercar requires entirely new ways of thinking. 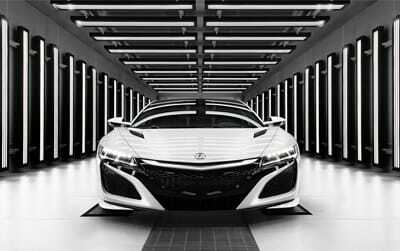 At the Performance Manufacturing Center, the same level of innovation that went into the NSX itself went into its production. Top specialists in each area of production were asked to imagine their dream process and work station – then make it real. Thus new tools, systems, materials and practices – two of which are patented with an additional nine pending – were brought to life, ensuring a perfect union of technology and craftsmanship. Creating a finish this extraordinary takes time. To begin, 10 dip-tanks clean and rinse all surfaces; next comes an electro-deposition coating that’s then cured at 390F. Finally, eleven coats of primer and paint and clear coat are applied, one painstaking coat-and-cure at a time. Body panels are painted robotically, while the front grille is hand-sprayed piano black. Once fully cured, the painted panels are handled with soft leather gloves during assembly and visual inspections; laser inspections ensure perfection. 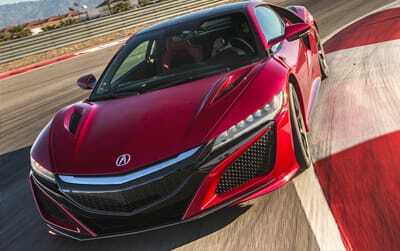 A team of eight elite associates build NSX engines at the Acura engine plant in Anna, Ohio – where 4,000 square feet is their exclusive domain. Each NSX engine is hand-built by one master builder at their own station, where every fastener is started by hand and every torque measurement is recorded – on all 547 bolts. When complete, the engine is broken in on a dynamotor, revving the engine to various speeds and loads for the equivalent of 150 miles of driving, so every engine is ready to go full throttle on delivery.